And following the same path, Star Plus’ youth drama Tere Sheher Mein (Director’s Kut Productions) will soon wrap up. Yes, sources inform that the show is all set to air its last episode on 14 November. 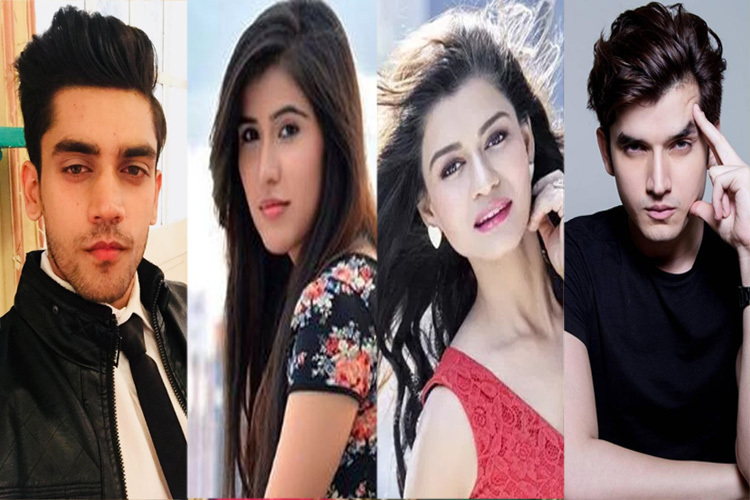 Tere Sheher Mein that launched with young faces Hiba Nawab, Dhruv Bhandari, Rafi Malik, Anjum Fakih although is popular on social world, it could not garner substantial TRPs. With the lead, Dhruv quitting, the series hit a major downfall. Although Kinshuk Mahajan was called in to salvage the situation, things did not work accordingly. The team has been informed about the same, and the shooting will wrap up in a couple of weeks. The replacement for the same hasn’t yet been finalised. We dropped a text to producer Rajan Shahi, but did not receive any revert till the time of filing the story. Stay hooked for more exclusive updates from the world of TV and Bollywood. Uttaran, will be back on TV. This time she will be seen in a positive character in Star Plus’ Tere Sheher Mein (Director’s Kut). Beena will play Sneha’s (Gautami Kapoor) mother who will stand by her side during difficult times. She will give her strength and confidence to fight for her rights. Her entry will air soon. Bollywood's popular playback singer Shaan has lent his voice for the title track of an upcoming TV serial "Tere Sheher Mein". He has previously lent his voice for "Shakuntala". The "Behti hawa sa tha woh" hitmaker has teamed up with "Aashiqui 2" fame singer Palak Muchhal for the track of the Star Plus show, which is likely to go on air in March. Shaan has composed the track as well. The singer, who shared screen space with Mika Singh in film "Balwinder Singh... Famous Ho Gaya" last year, took to micro-blogging site Twitter to share a glimpse of the making of the title track. "Had super fun recording the OST for an upcoming show on @StarPlus. Here's an exclusive making for you guys :)," he wrote. However, this is not Shaan's first outing to the small screen. The singer, who has proven his musical expertise time and again, has hosted a bevy of musical shows like "Sa Re Ga Ma Pa". Meanwhile, "Tere Sheher Mein", which is produced by Rajan Shahi's Director’s Kut productions, is a journey of a girl named Amaya, who transforms into a strong and independent girl from being a pampered child after a drastic change in her life. Shot extensively in Paris and Benaras, the show also features actress Gautami Kapoor, who will be seen playing Amaya's mother.